Is UVA mess brought to you by Goldman Sachs and EDMC? 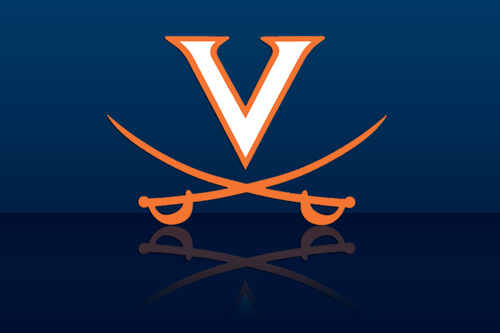 While others have written about the UVA mess in terms of deconstructing it and the people involved, I have been taking a look at why the university would want to bring upon itself all this unwanted publicity. I don’t think that any organization wishes to have a situation like this thrust upon them, and that’s why it seems so odd. They did this to themselves. Enter Goldman Sachs and EDMC, a for-profit education company owned partially by Goldman, and partially by Providence Equity Partners. A friend brought to my attention that there are many coincidences here, namely, that the powers-that-be at UVA own stock in either Goldman, Providence, or both. EDMC is known to have been seeking to contract with UVA to provide the services of distance learning (online learning). EDMC has had their share of troubles in recent years. The Art Institute, previously belonging to EDMC, was sold, partially due to insistence by the US Government that the company adhere to regulations about “GE”, or Gainful Employment. A student literally have been sold a package that included a Bachelor’s degree for $50,000, and when the student went into the working world, owe more than he makes on his/her new job. Between Goldman and Providence, they own over 75% of EDMC. There are probably lots of UVA grads out there that would like to make a deal with their old school. For instance, the CFO of Providence is a UVA graduate. Have there been any behind the scenes (read: illegal) meetings between university personnel and EDMC or their representatives? Was there a deal made to swing the favored opinion to EDMC for distance learning? If there was a deal, and Sullivan balked at it because it was shady, was she fired over it? Why does Dragas still have her job, even if her time is up in the next ten days? I do know one thing: if there was funny business between UVA and EDMC/Goldman/Providence, and it involved a deal for the contract, then someone violated State and Federal law doing it. I also know that this could be wrong, that they blew everything up over a difference in personalities. We just don’t know, and that’s the biggest problem. EDIT: [1:00AM 6-22-12] My friend Sean Kennedy, an alumni of UVA, has his take on this subject here. Also check out this post. Good questions, Mark. And maybe someday we’ll get some answers. Thanks, Vivian. Even though I am not a graduate of UVA, I feel sad for such a legendary school being caught up in this mess. where did you hear or read about the Art Institute (formerly EDMC) being sold off? Hmmmm….I have wondered about this also. Dragas’ public statements about the need to catch up to MIT, Harvard and Stanford, among others, on the online learning front demonstrate that she does not at all understand what programs like EdX (MIT’s and Harvard’s program) or Coursera (Stanford’s program) are about. So, I’ve asked myself is she really that stupid? Because it doesn’t take much research at all to understand that these programs are not what she thinks they are. Or, was Goldman Sachs hoping to bring a for-profit model (note that EdX and Coursera are not-for-profit endeavors – all classes are offered free to anyone – I myself have signed up for a Coursera class that starts next month) to an elite university? It that is the case, Dragas obviously can’t come out and admit it right now. The uproar would be even greater. That would explain why they attempted to do all this “under cover of darkness.” They clearly knew going in that President Sullivan (or, indeed anyone qualified to run a university) would reject such a move out of hand so they needed a coup to oust Sullivan and quickly install someone who would go along. Fortunately, they failed (I hope). Here is a link to a HuffPo story on Goldman and EDMC. Good post Vivian. Hopefully there will be full disclosure from the BOV if any of them own Goldman or Providence stock. Thanks but Mark wrote this one. Lotsa ccomplaints about the board doing their job but no proposals to pay for the school.. Remember when they shut it down in the late 60’s?